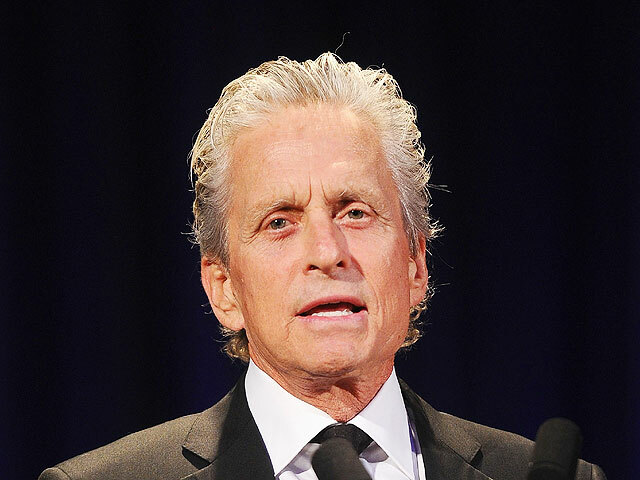 Is Michael Douglas still smoking despite throat cancer? (CBS) You might think being diagnosed with cancer would be enough to scare smokers off cigarettes once and for all - but you'd be wrong. Just ask Michael Douglas. Recent photos seem to show the 66-year-old actor puffing away less than a year after being treated for Stage 4 throat cancer. The photos - published in Star magazine - show a tanned and relaxed Douglas apparently taking a drag while vacationing aboard a yacht along the Italian Riviera. A representative for the Oscar winner - who was a longtime smoker before his cancer diagnosis - was mum about the photos, the New York Daily News reported. But experts have been speaking up about the dangers of smoking after a cancer diagnosis. Dr. Eric Genden, a New York City surgeon who specializes in cancers of the head and neck, called smoking after a cancer diagnosis a "bad idea." He told the paper, "In patients with a history of carcinoma of the throat, smoking represents an exceptionally high risk to developing a recurrence and even dying from the disease." If Douglas was smoking tobacco, he's far from the only cancer survivor to have trouble beating tobacco addition. A 2010 study by Dr. Kathryn Weaver, assistant professor of social sciences & health policy at Wake Forest Medical Center, showed that up to 18 percent of lung cancer patients and 12 percent of patients with colorectal cancer continue to smoke, msnbc reported. She said head and neck cancer patients may be especially vulnerable to nicotine addiction. As HealthPop reported last January, about 100 Americans are diagnosed each day with oral cancer, a term that includes malignancies of the mouth, tongue, and throat. If the cancer is caught in its early stages, patients have an 80% to 90% chance at long-term survival, according to the Oral Cancer Foundation. But when the cancer is caught in later stages - as Douglas' was - the survival rate drops to 65 percent. Has Douglas decided there's no point in stopping smoking? As Dr. Weaver told msnbc, "It's never too late to quit."